"Richard Crenna in Fort Laramie: Army Wife"
The stars get all the attention, but the fact is that Hollywood is filled with costars, those players who manage to put together a healthy body of work, but rarely get to see their names at the top of the marquis. 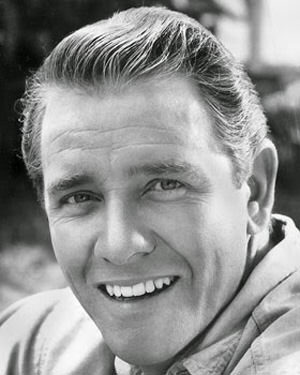 Richard Crenna spent more than 60 years in show business, but the roles he is best remembered for are mostly in “somebody else's” shows. Crenna was born in Los Angeles in 1926. While taking drama lessons in junior high school he got word that a radio program was looking for young performers. Starting in 1937, Crenna played “the kid who did everything wrong” on Boy Scout Jamboree. 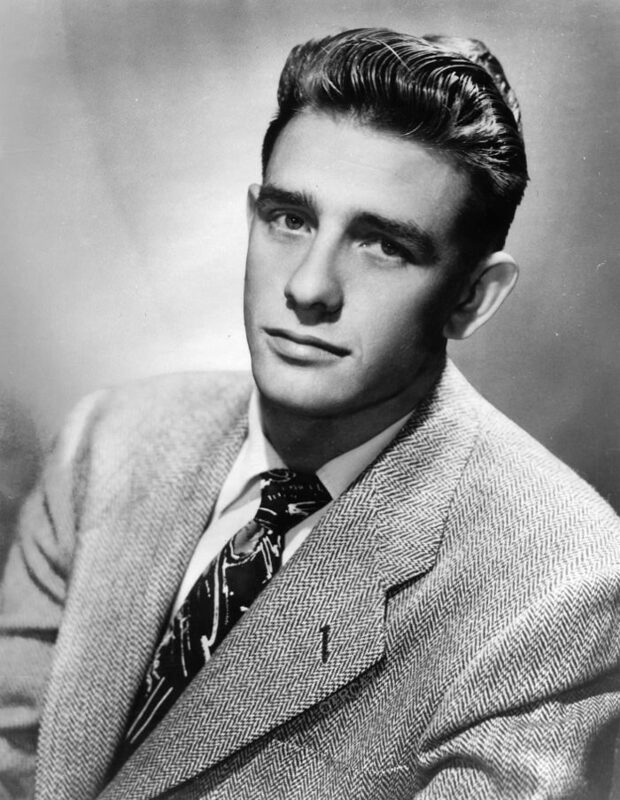 After high school, Crenna joined the Army and saw action as an infantry radioman during the Battle of the Bulge, and also served in the Pacific decoding Japanese intercepts. After the War he enrolled as an English major at USC. In 1948, Crenna landed the role of Marjorie's boyfriend “Bronco” Thompson on The Great Gildersleeve. Even though Bronco and Marjorie eventually got married and had kids, and the fact that Crenna was a combat veteran in his twenties, he soon began landing a number of roles as awkward teenagers. These include a deliver boy in My Favorite Husband, a teenaged neighbor on the George Burns/Gracie Allen Show, and Oogie Pringle on several episodes of A Date with Judy. 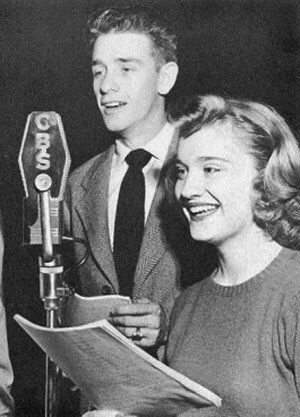 Crenna's most memorable role on radio was as precocious teenager Walter Denton on Our Miss Brooks. When Miss Brooks made the move to TV in 1952, Crenna moved with it, and also appeared in the 1956 big screen film inspired by the show. In the 1955 TV season, Miss Brooks and Principal Conklin moved to an exclusive private school, and Crenna's character was cut. Radio was a dependable income for a number of TV second stringers form the mid-fifties to the early-sixties, and Crenna appeared on several episodes of Gunsmoke, Fort Laramie, Broadway Is My Beat, and Yours Truly, Johnny Dollar. Beginning in the 1957 TV season, Crenna won a role on Walter Brennan's situation comedy, The Real McCoys. Although Crenna did not receive top billing, his was the only character to appear in every episode until the series was cancelled in 1963. He also directed several episodes near the end of the run. Crenna is best known for his role as Special Forces Colonel Sam Trautman in Sylvester Stallone's Rambo movies. Crenna also spoofed Trautman in the Rambo/action hero spoof Hot Shots, Part Deux. He was slated to reprise his role for the fourth Rambo film, but succumbed to pancreatic cancer. James Brolin was slated to take over the role, but Stallone scrapped the idea out of respect to Crenna and the character. A star on the Hollywood Walk of Fame honors Richard Crenna's contributions to Motion Pictures (the Rambo series) at 6714 Hollywood Blvd. 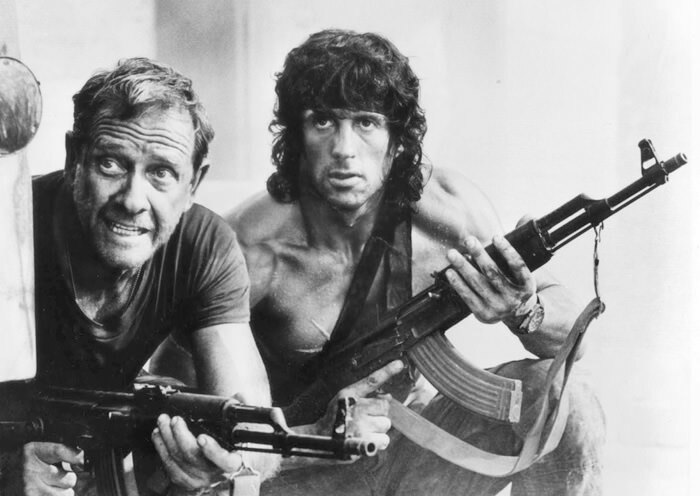 Be the first to comment on "Richard Crenna"